HAMPI, INDIA - 28 JANUARY 2015: View of temple Virupaksha and tourists in Hampi. HAMPI, INDIA - 28 JANUARY 2015: Tourists in front of temple elephant Lakshmi. 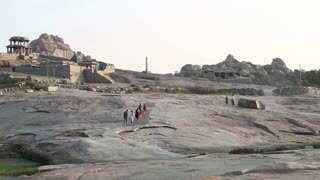 HAMPI, INDIA - 28 JANUARY 2015: View of tourists and ruins of the temple in Hampi. HAMPI, INDIA - 28 JANUARY 2015: Women coming out from the temple. 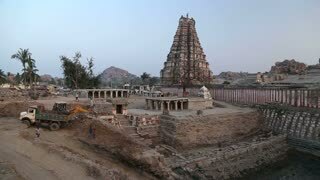 HAMPI, INDIA - 28 JANUARY 2015: Tourists sightseeing ruins of temple in Hampi. 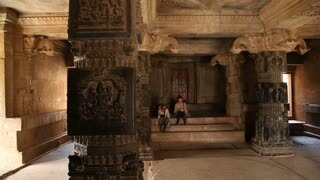 HAMPI, INDIA - 28 JANUARY 2015: View of tourists inside of the temple.